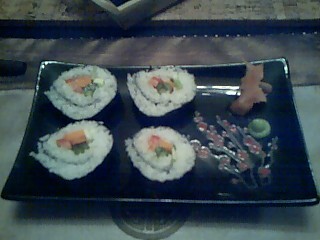 My first attempt at sushi. I couldn't figure out how to get the rice on the outside. It keeps sticking to the mat.